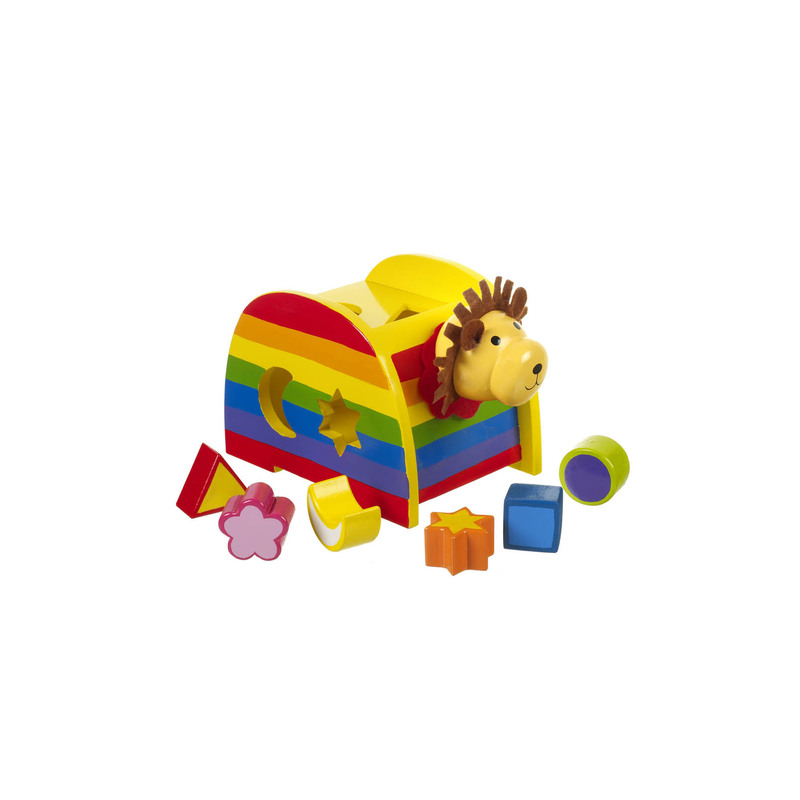 This adorable lion shape sorter is a perfect way to teach little ones about shapes. Brightly coloured featuring a cute lion and shapes, this teaches children to learn colours shapes and also helps with their coordination as well as being a fun toy. 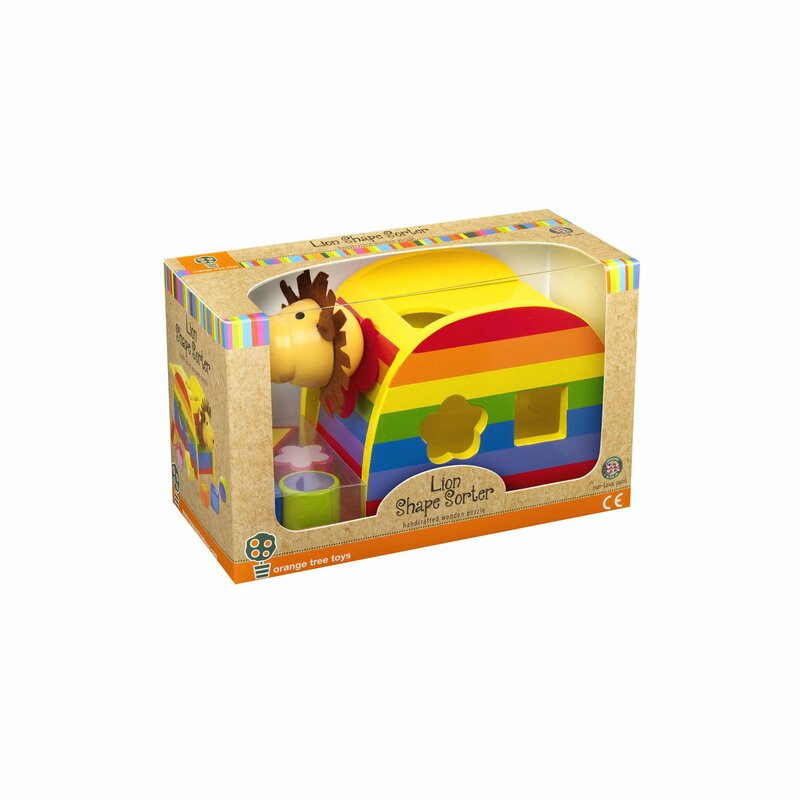 Comes presented in a gift box making this lion shape sorter a perfect gift for children.